I have said before that my anxiety will never going completely away. Instead, I can learn how to control it so that I can manage things better. But getting to that place will be a journey. I cannot reach my destination by pretending that my darkness never existed. I have to accept the things I have been thru. I have to forgive those who that have caused some of my darkness. I have to work thru the darkness so that I can be better. I want to help others. Because I have gone thru this journey pretty much all by myself. So if I can help others get to their destination a little faster than I am then I feel like I am doing a good job. I will feel like maybe I am helping. Because lets be honest. I have a low self esteem. So I am pretty hard on myself. But the one good thing about me that I can never take from myself is that I will help anyone and everyone around me. And I feel like I am in this fight so I can help others with their fight. Mental illness is not an easy fight to deal with. We are not only fighting our own minds but we’re fighting the world around us. 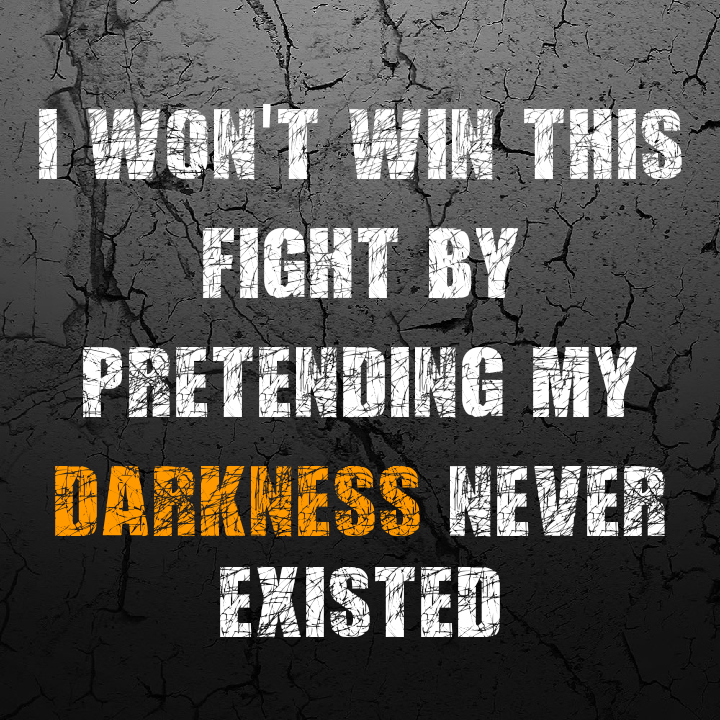 I find that there are some who are struggling with their fight because they pretend that their darkness never existed. That maybe if they ignore what they’ve been through they will get better faster. But that only causes more problems.